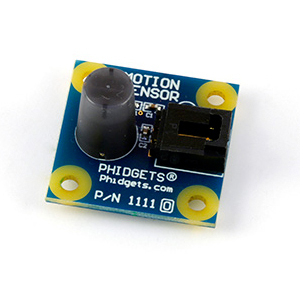 Phidget Motion Sensor… Now Smaller! 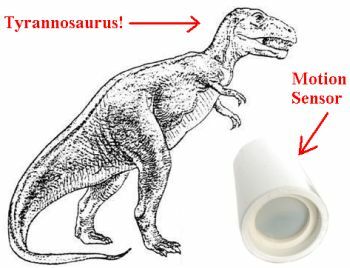 Ok, here’s a little Phidgets history lesson for those of you who’ve never used the Phidget Motion Sensor. 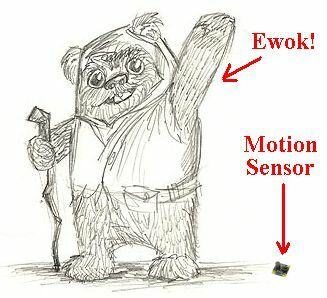 As you can see, the new sensor is roughly the size of an Ewok’s big toe (3cm x 3cm). Follow this link for more information about, and the opportunity to purchase, the new and improved Phidget Motion Sensor!